Environment protection, light use of LED, non-harmful substances to the human body. Powers by USB port, no AC adapter needed. Save cost from Nail Salon and stop changing bulbs for old UV lamp. Take the pocket size nail light while travelling and do nail art anytime. Protect your hands, avoiding harm from outdated ultraviolet or UV light dryer. This LED Nail Dryer uses good quality LED lamp bead, takes only 30 seconds to dry the glue nail polish. It is small in size, easy to carry and is especially suitable for home trip. This LED nail UV curing lamps is power-saving, time-saving and space-saving. 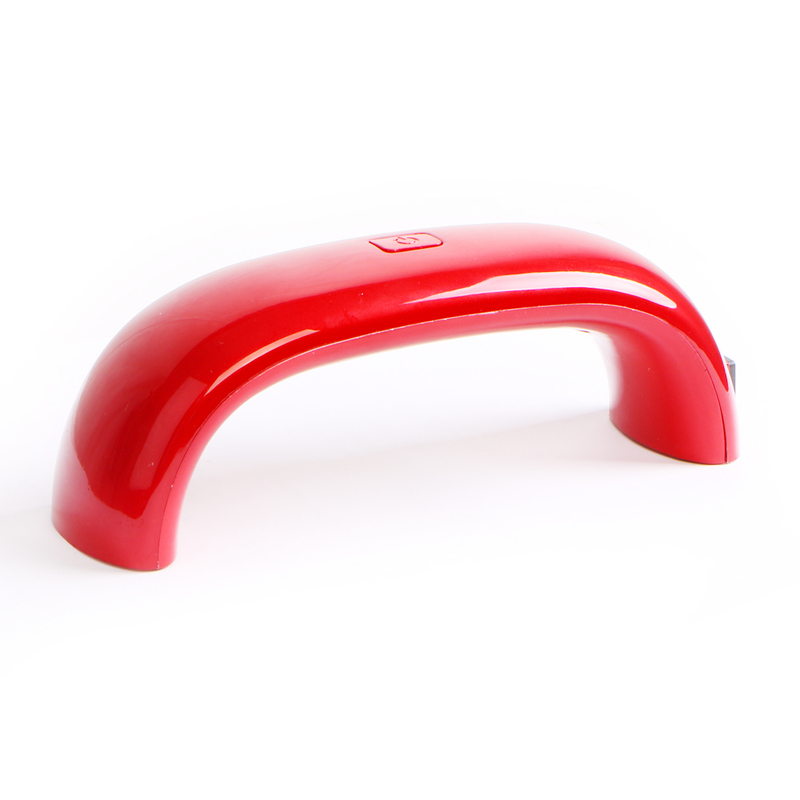 It offers you a convenient way to dry nail polish quickly. It is slim and compact without occupying you much space. With low heat generation, it will not be hot after long working hours. Adopting advanced material, it is eco-friendly with a long lifespan for your long-term use. Furthermore, it is user-friendly. You will love the machine, as long as you own it. After applying the nail polish, you can use it directly by plugging in the power. After 30 seconds or 60 seconds, the nail polish will fast dry. Also if you insist in use it, it can protect your hands, avoiding harm from outdated ultraviolet or UV light dryer. It non-harmful substances to the human body.